A fairly low quality picture, but then again it was taken 15 years ago with my very first digital camera (1.6 megapixel, mobile phone cameras have a multiple of that these days). 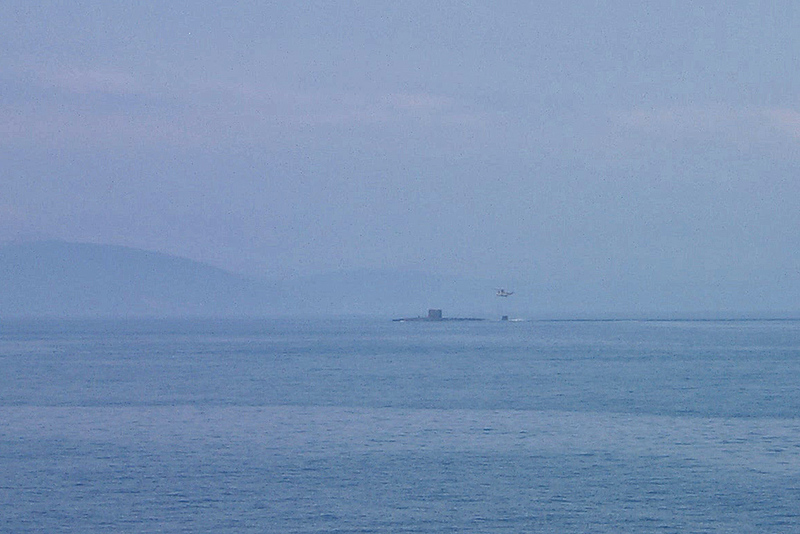 It’s a fairly rare sight I believe and I remember the ferry captain alerting us about it on the tannoy: A submarine (don’t ask me which class, I have no idea) and a helicopter exercising off the south east of Islay. This entry was posted in Landscape, New Post, Sunny Weather and tagged ferry, helicopter, Islay, submarine by Armin Grewe. Bookmark the permalink.